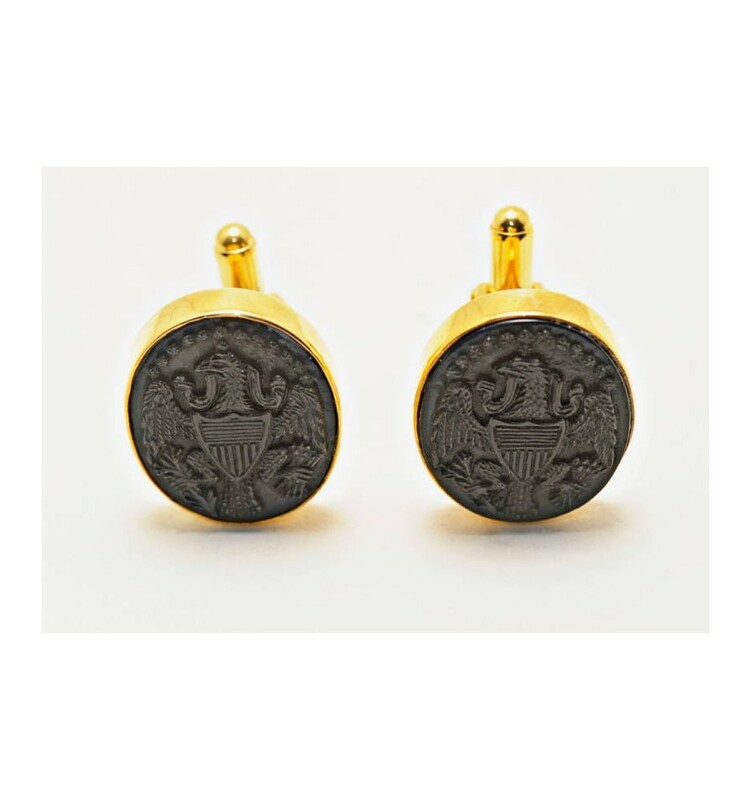 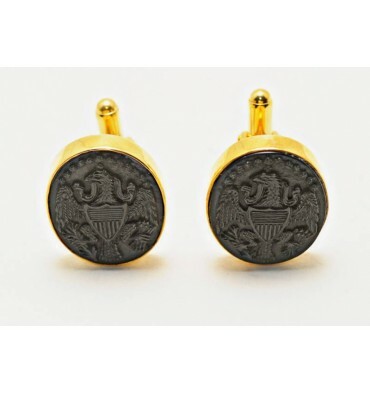 The George Washington Patriot Collection Black Onyx Stone Engraved Cuff Links mounted to Gold Plated Sterling Silver. 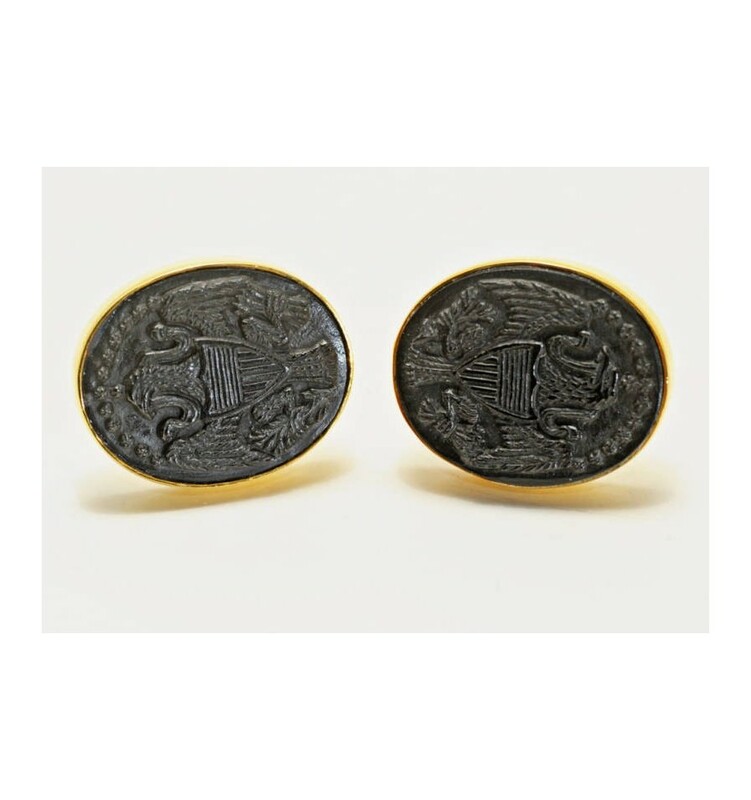 The Continental 13 Star Model. 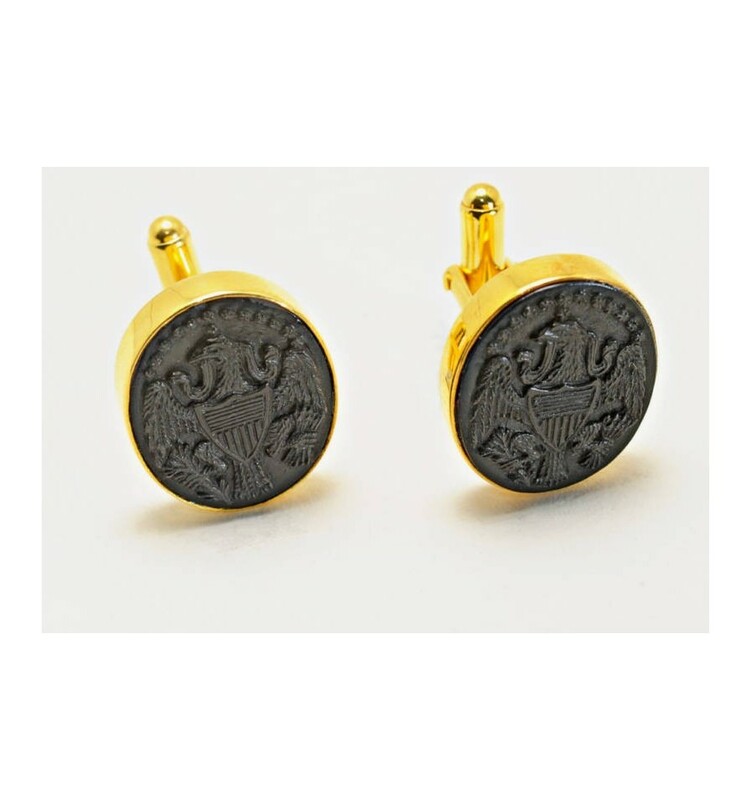 Hand engraved by true craftsmen and extremely distinguished these will add something very special to your wardrobe.